Point2 Homes gives you far more than a simple list of houses for sale. 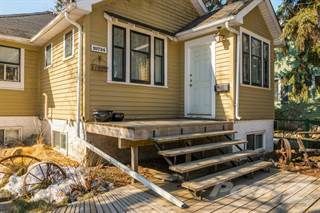 Get instant access to a lot of relevant information about Northwest Edmonton, Edmonton, AB real estate, including property descriptions, virtual tours, maps and photos. The search results pages also have a wealth of information on Northwest Edmonton, Edmonton, AB, if you scroll all the way down. 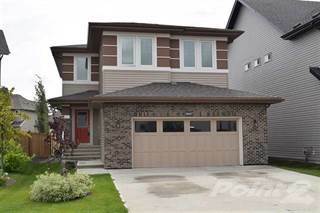 There are 276 houses for sale in Northwest Edmonton, Edmonton, AB. 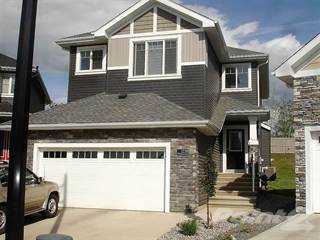 Searching homes for sale in Northwest Edmonton, Edmonton, AB has never been more convenient. With Point2 Homes, you can easily browse through Northwest Edmonton, Edmonton, AB single family homes for sale, townhomes, condos and commercial properties, and quickly get a general perspective of the real estate prices. Also, you’ll never miss a bargain if you filter listings based on house price drops in the past six months. Use the map view to find Northwest Edmonton, Edmonton, AB homes and apartments for sale, based on amenities or city features that you may want close by. You can close in on a specific neighbourhood or area by simply drawing around them with the polygon or radius tools. Stay informed about the latest entries on the real estate market by saving your searches. This way, you get new listings in your inbox, daily or every week, based on your preferences. If you’d like to get in touch with a professional, agents are displayed next to their listings, and they’re easy to contact through the online forms. If you want more options, you can click the Tools tab and Find an Agent, and you’ll get a list of helpful and knowledgeable real estate agents in Northwest Edmonton, Edmonton, AB. Visit the Point2 Homes blog and you can find up to date expert advice on many markets throughout Canada, regular market reports, neighbourhood scoops in cities throughout the provinces, real estate deals and useful recommendations. Northwest Edmonton encompasses a number of small neighbourhoods, including Baturyn, Lorelei, Elsinore, Chambery, The Palisades, Rapperswill, Castle Downs, Beaumaris, Caernarvon, Griesbach, Pembina, Hudson, and Dovercourt, to name a few. There are plenty of amenities and transportation options in the neighbourhood to keep residents busy. Northwest Edmonton includes a number of neighbourhoods in the northwestern corner of the city. The neighbourhood extends from Range Road 261 in the west to 97th Street NW in the east, and from Anthony Henday Drive in the north to 111th Avenue NW in the south. Residents of the neighbourhood tend to enjoy active lifestyles, as can be seen by the number of recreational facilities and outdoor park spaces found throughout the area. Accessible public transportation makes the neighbourhood feel well connected to the rest of the city. TELUS World of Science is a non-profit science centre that offers permanent exhibits on robotics, the environment, the human body, and space. Temporary exhibits showcase topics such as digital animation. Many exhibits are hands-on, allowing visitors to learn while doing. Other activities at the centre include watching movies at the onsite IMAX theatre, conducting experiments in the Science Garage, playing at the Discoveryland Gallery, and watching science demonstrations. Various events are often held at the venue, for both children and adults. The Alberta Aviation Museum has a collection of numerous planes from various times and places, and the interiors of some of them can be explored by visitors. Guided tours are available and provide insight into the significance of each aircraft. The museum also includes a flight simulator, displays on air cadets, a theatre, an education area, a research library, and a gift shop. For adults, the neighbourhood has Casino Yellowhead, which features close to 800 slot machines, 10 video lottery terminals, close to 30 live action table games, poker, various events, and multiple dining options. Sagar Restaurant, on St. Albert Trail NW, specializes in both East and West Indian cuisine with options like paneer, masala, samosas, tandoori, curries, korma, roti, and channa. The elegant décor and soothing lighting make it a nice spot for a romantic date night. Fifendekel Pie Shop Café on 149th Street NW offers light fare such as sandwiches, soups, and salads, as well as breakfast options and baked goods such as cinnamon buns, muffins, cookies, brownies, tarts, loaves, and of course, pies. The simple but cozy décor and friendly service make it a busy spot. Located on 137th Avenue NW, Sparta Greek Grill has a clean and simple dining space, as well as a sunny outdoor patio. The menu features Greek standards such as souvlaki, gyros, falafel, pitas, calamari, spanakopita, and hummus, and customers can eat in or get their food delivered. Northwest Edmonton offers a mix of real estate, with single-family homes, apartments, row houses, and other dwelling types available. The average price for homes in the area is $263,099, which is less than the average price for homes in Alberta overall ($389,943). The population of Northwest Edmonton is 109,175, and this has been growing over the past 10 years. Families make up 50% of the population here, 24% are couples, and 26% are single. The average annual income is $52,953, which is lower than the average for the city as a whole, and 57% of residents are university or college educated. Northwest Edmonton can be affected by local traffic and industry air quality issues. Areas near major roadways can experience noise issues. Considering the large number of neighbourhoods in the Northwest Edmonton area, the crime rate is quite low. The most common crimes in the neighbourhood are vehicle theft, theft from a vehicle, assault, and break and enter. Schools in the neighbourhood include Hilwie Hamdon School, Sir John Thompson School, Dunluce School, Caernarvon School, Elizabeth Finch Elementary-Junior High School, Katherine Therrien Catholic School, St. Lucy Catholic School, Lorelei School, Baturyn School, St. Charles Elementary School, Mary Butterworth School, Bishop Savaryn Catholic School, St. Timothy Catholic School, Major General Griesbach School, Rosslyn School, Scott Robertson School, St. Edmund Elementary and Junior High School, Kensington School, and Ross Sheppard High School. Post-secondary options in the neighbourhood include NorQuest College, the Northern Alberta Institute of Technology, Vanguard College, and Athabasca University. Due to its large size, the neighbourhood of Northwest Edmonton has numerous Edmonton Transit Service routes running through it. These include basic service routes and peak hour service routes (rush hour). Fewer routes run in the western section of the neighbourhood. All of these routes allow passengers to access other areas of the city, including Downtown. Henry Singer Park is located in the northern section of the neighbourhood and features a soccer complex, several ball diamonds, several multi-sport fields, and a couple of small ponds. Caernarvon Park, in the central section, offers ball diamonds, a playground, walking paths, soccer fields, and greenspace. At Elsinore Chambery Park in the northeastern section, there is a playground, a sheltered seating area, benches, landscaped areas, soccer fields, ball diamonds, a walking path, a dirt bike hill, and greenspace. Coronation Park in the southern section of the neighbourhood has walking paths, a planetarium, ball diamonds, tennis courts, treed areas, greenspace, benches, picnic areas, a playground, an outdoor track, bowling greens, and landscaped areas. Castle Downs Park in the central section features a cricket pitch, a playground, a skate park, ball fields, soccer fields, benches, and a walking path. The Knights of Columbus Sports Complex offers two arenas for hockey, ice skating, and ringette; change rooms; and a concession area. The Knights of Columbus Hockey Club normally operates out of the complex. The Castle Downs Family YMCA offers a variety of community programming for people of all ages. Examples of programs and activities at the centre include swimming, health and fitness, youth supports, squash and racquetball, running/walking (indoor track), education and training, personal training, group cycling, cross-training, sports (gymnasium), day camps, and child minding. At the Peter Hemingway Fitness and Leisure Centre, residents can access a pool, a whirlpool, a sauna, a steam room, a fitness centre, a training centre, a stretching area, a sun deck, outdoor tennis courts, and change room facilities. A few branches of the Edmonton Public Library (Woodcroft branch, Castle Downs branch, and Calder branch) also offer community programming for people of all ages.